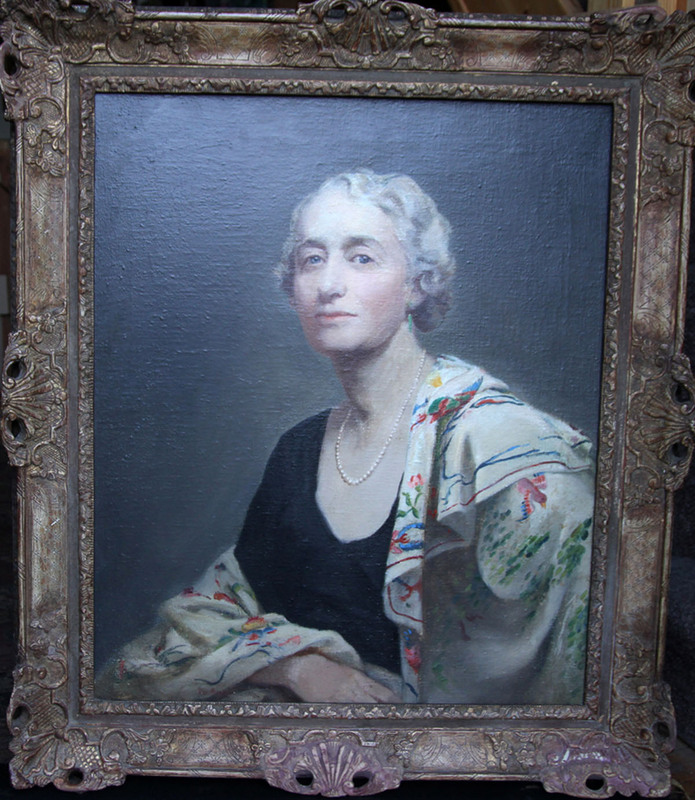 An original circa 1935 oil on canvas painting by Alice Mary Burton. 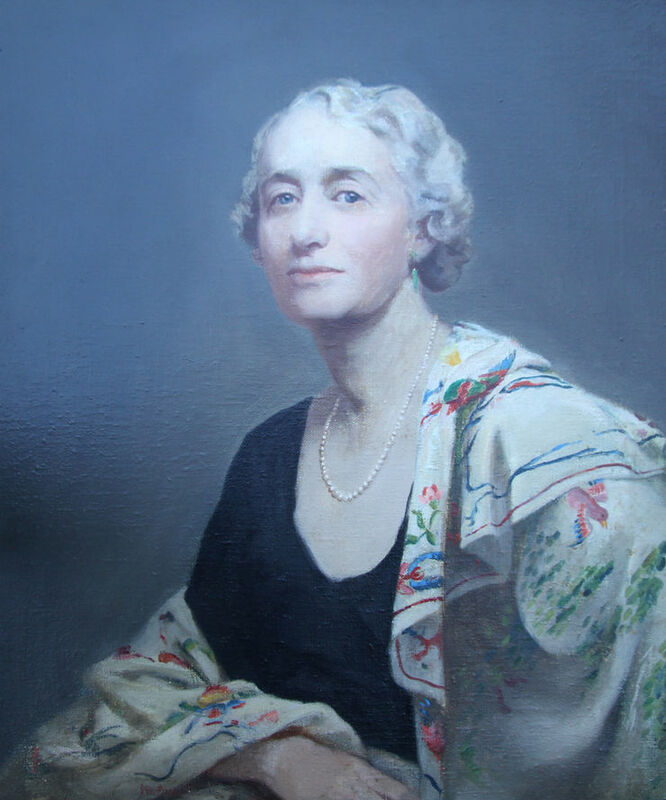 It depicts a portrait of “Mrs Willis” and was exhibited at The Royal Society of Portrait Painters.This is an outstanding painting and a fine example of the early 20th century portrait painting by a British listed female artist whose works have recently sold to the House of Lords. Midlands estate. Family estate. Royal Society of Portrait Painters. Original gallery frame 38 inches by 33 inches.